Watching I watched the Euro Cup soccer final the first half of the Euro Cup Soccer Final at Anima. Anima replaced ll Torchio (Myrtle bet. Waverly and Washington) a couple of weeks ago when it was allegedly sold by the family who started ll Torchio. The decor is the same but the menu is less expensive and includes brunch. Update 7/1: This post should have been dated 6/29 but did not go through for a variety of technology issues until 6/30. A friend of mine who used to waiter at Il Torchio calls my practice of hopping from spot to spot when I come back from a long day’s work in Manhattan “the Myrtle Shuffle”. A beer here, a burger there but lots of love everywhere. I’ve lived in Fort Greene/Clinton Hill for 11 years, 4 of which have been on Myrtle. At first there wasn’t much to do and I hung out mostly in the city (first 3 years) and then on Dekalb when all the restaurants came. Then last summer (07), a critical mass of restaurants and businesses piled onto Myrtle. Now my friends have a hard time peeling me off of what was once “Murder Avenue”, especially in the winter. I have been a blogger for a while now and I thought I’d start sharing my Myrtle adventures. The wider playground is of course Fort Greene/Clinton Hill i.e. Dekalb, Lafayette and often Fulton so expect some of that laced in too. 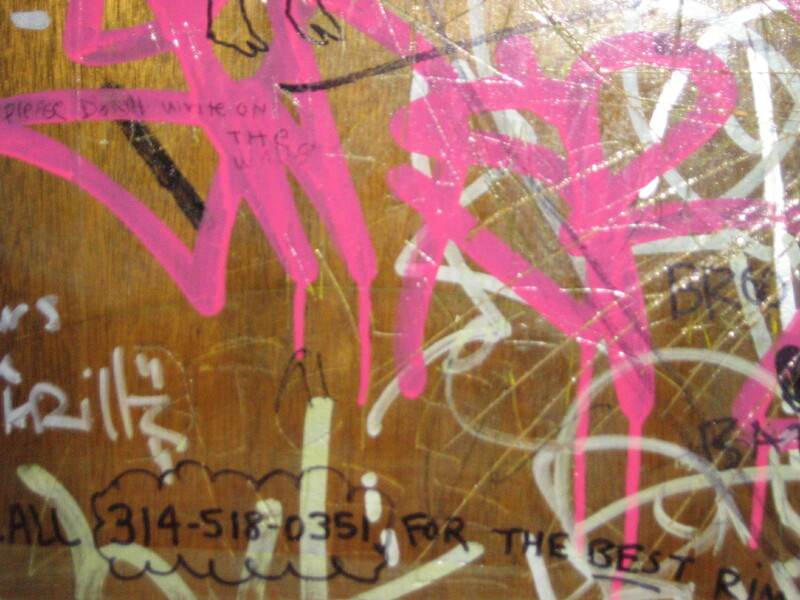 Oh and the header picture was taken in the bathroom at what has now become a favorite, Rope.